Quote Reply Topic: Anyone love the Halves? I love nicely toned bust halfs. 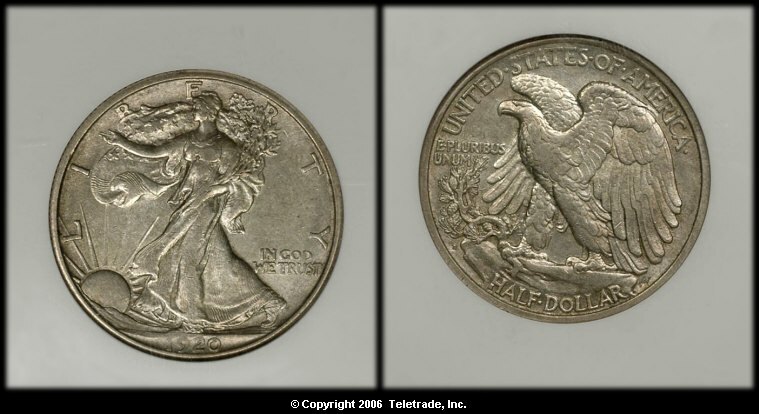 I am a little tired of the walking liberty design since it has been on the ASE's for 20 years as well. I love the half dollars series' I routinely search boxes of half dollars for silver and I always enjoy finding Walkers and Franklins. I've even found 2 barber's, although they were quite well worn. The bust halves are my favorite design because I love trying to attribute the die variety and I enjoy the fact that they are available in large numbers, especially considering how old they are. me too, that's a very nice one! what is it's overton #? I picked this one up this week for low XF money, I intend to send it to NGC and I'm hoping for an AU, but if it comes back as an XF I'll still be fine, it has great detail and is really well struck for being a pre-21 Walker. What do you guys think, will it go AU? Not sure it would grade with the hit on the Eagles chest. Unless it is just toning that looks like a hit. I love the dark color of this one. It is kind of mystical. The obverse has a hit as well at Liberty's left hand which coreponds to the hit on the eagle's chest. They'll body bag it for sure. Here's my most recent addition, also a 1920-D, NGC 55. BTW: The 1920-D and the 1923-S are the absolute TOUGHEST Walkers to locate in AU 55-58 !!! Its a crying shame your coin has those hits, otherwise, it would be at least a 55 and quite easily slipped into a 58 holder. This is the only Bust Half I own. Bought it for my type set. I don't seem to ever grow tired of a Walking Liberty Half. 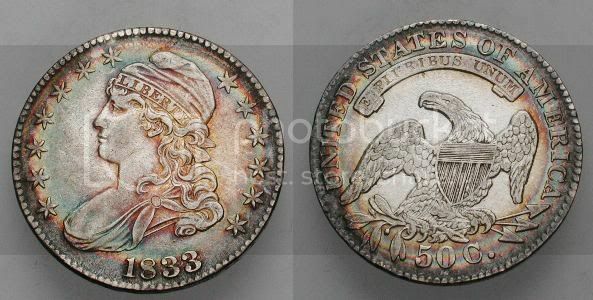 It is one of the most beautiful coins ever created! ^ I agree, I love the Walking! I've ordered a half bust that was in VF in condition off a website,though I did not get it yet.